No standard exists for determining when ice accumulation is severe enough that it will endanger workers. Most times, safety managers and supervisors must use their own judgment to alter work practices based on changes in weather conditions. It is recommended that you plan ahead for anticipated hazards so you’ll be ready when conditions start to get dicey. According to the Insurance Information Institute, 25 percent of all businesses that were affected by a major disaster never reopen. Small businesses are especially vulnerable to disasters since they have less funds and personnel to restart operations and recover losses. Here are four steps you can take to help maintain a safe work environment this season, regardless of the size or type of workplace. 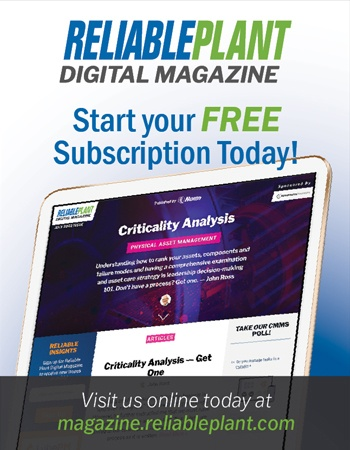 Discuss the most common seasonal hazards that occur in your area, how they have affected operations in the past, and what everyone can prepare for. Take into account events like power outages and blackouts from high winds and storms, proper snow- and ice-removal procedures, and evacuations and emergency escape-route procedures. Ensure employees know how to respond, whom to contact and how to communicate effectively in emergencies or when inclement weather affects normal operations. Simulate drills and scenarios in your facility on a regular basis, and evaluate areas for improvement. Provide easily accessible resources to all employees that outline the most important workplace emergency procedures, like contact information and procedural reminders. The goal of a job hazard analysis (JHA)is to identify hazards in the workplace before they occur. Winter introduces unique and often unprecedented hazards. In 2014, there were more than 42,000 workplace injuries and illnesses in the United States involving ice, sleet or snow that required at least one day away from work to recover. Nearly 82 percent of these injuries and illnesses were due to falls on the same level, according to the Bureau of Labor Statistics. It’s important to consider how your workers’ normal tasks, tools and work environment may need to change. Focus on one job at a time throughout your facility to determine work areas that could pose new hazards. Are modifications to normal job tasks necessary to ensure safety? Look for leaks or melted snow that has been tracked in that could cause electrical hazards. 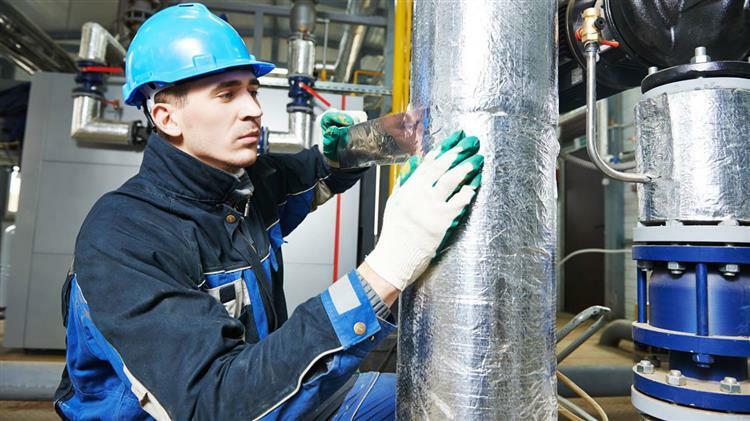 Determine if equipment maintenance needs to be modified due to extreme temperature changes. Always involve your employees in the JHA process to prevent the chance of oversight. Take precautionary steps to protect your facility from weather and temperature changes by identifying areas vulnerable to damage. Maintain your roof and keep it clear of debris from clogged gutters and downspouts. Inspect for water leaks, cracked concrete and ponding water. Prepare your heating, ventilation and air conditioning (HVAC) systems for winter with preventive maintenance. Clearly mark pipes and shut-off valves so they can be easily located in the event of a major leak or burst pipe. 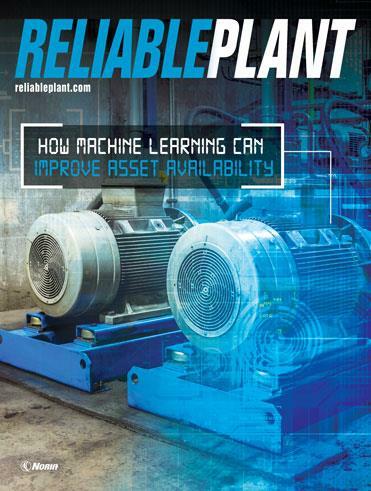 Determine what is needed to provide extra safeguards for hazardous areas and tasks. Implement a cold-weather response plan that consists of techniques to approach hazards such as product spills. Equip work areas with supplies such as absorbent pads and roof and pipe leak diverters to quickly combat hazards. Outline your findings and communicate them to your employees. Include all recommended changes to existing processes, new safety precautions and any special equipment that needs to be introduced. 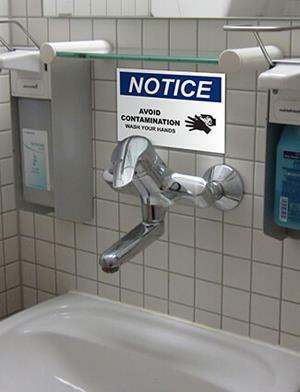 Clearly convey new work procedures and reminders using custom labels and signs. Evaluate if changes in personal protective equipment (PPE) are needed to ensure worker safety. Although OSHA requires employers to protect workers’ safety and health, they are not forced to provide workers with clothing items used solely for the protection against weather, like winter coats. Regardless, ensure employees have access to protective clothing that provides warmth and require them to dress properly for the conditions. Keep energy levels up and prevent dehydration by providing workers with warm fluids and water. Also, try to minimize activities that cause heavy perspiration or reduce circulation. Have employees work in pairs or larger groups to help monitor each other for symptoms of cold-related illnesses for added safety. Also, remind employees to keep their general health in mind. Post reminders to help prevent infection and illness in the workplace with visible housekeeping and hygiene labels and signs. Bring hazards to attention using a variety of visual communication methods including signage, floor marking, wayfinding, etc. Poor visibility plays a large and dangerous role in winter, which can be detrimental if you don’t prepare for its effects. Make sure pathways, work areas and stairways are clear from unnecessary items that could cause potential injury. Clearly highlight areas, items and machinery when it becomes more difficult to navigate in low-light conditions. 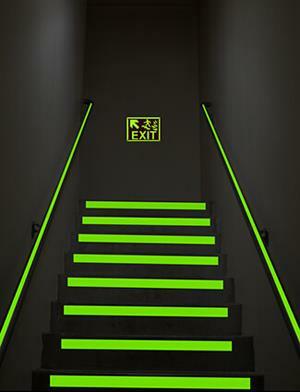 Outline egress pathways, door entries, low-clearance ceilings and other important areas that are in need of extra attention using glow-in-the-dark or reflective tape. 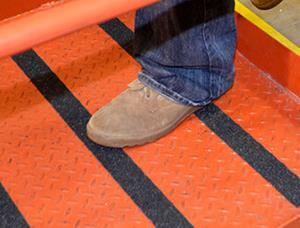 Identify locations that are prone to being slippery or difficult to navigate by applying tread tape to keep employees stable. Tread tape is ideal for areas that have a tendency to ice over as well as for application on stairs, doorways, ramps and handrails. Address hazards that may lurk in your facility and outdoors by placing signs and labels in areas that are prone to freeze over or become slick. Apply signage by door entries and parking lots, or use barricades, floor signs and cones to warn passersby of hazards. Locate where valuable signage and images should be installed to alert personnel of present hazards and recommended safety practices. Protect your employees and facility against winter hazards this year with safety solutions you can add to your safety program now. Employees need to understand how to work safely when seasonal threats approach. Clearly communicating emergency procedures and posting reminders about new work procedures are crucial to ensure overall safety. Remember, visual communication plays a vital role for aiding in awareness and accident prevention.